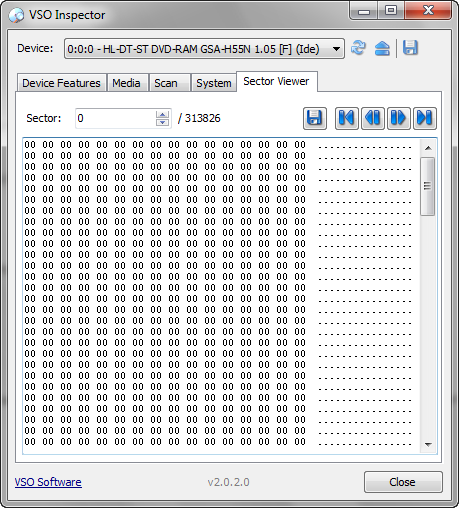 VSO Inspector is available for download from the following link. 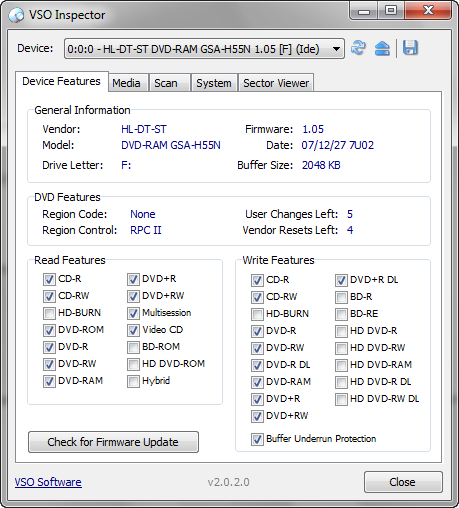 Its a 2.9 Mb installer digitally signed with VSO-SOFTWARE. Installation is multilingual. It supports 13 languages. Desktop and Quick Launch icons are created by default on installation. Administrative right is needed for installation. During installation Pcouffin.sys driver is installed and you may get a prompt to allow its installation. Installation fast and clean. You will be asked to launch the application at the end. – Surface Scan & File Test. You can even specify the sectors to scan. You can save scan reports and other information for future use. This entry was posted in Free, OS Enhancement, OS Maintenance, Software, Windows. Do you know how fast your CD, DVD or Blu-Ray drive is? Which formats it supports out of the box? 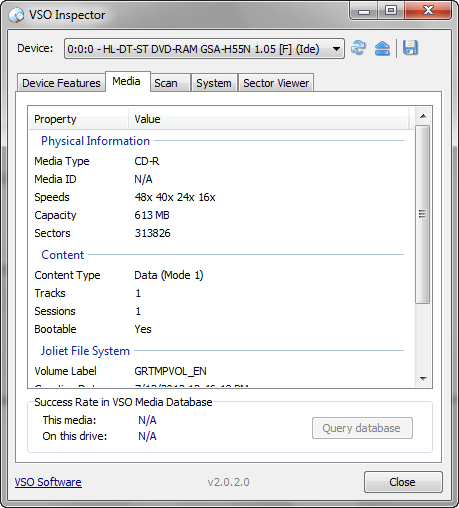 VSO Inspector can deliver those answers to you, if you are running the Windows operating system.